I decided to go for ratatouille. 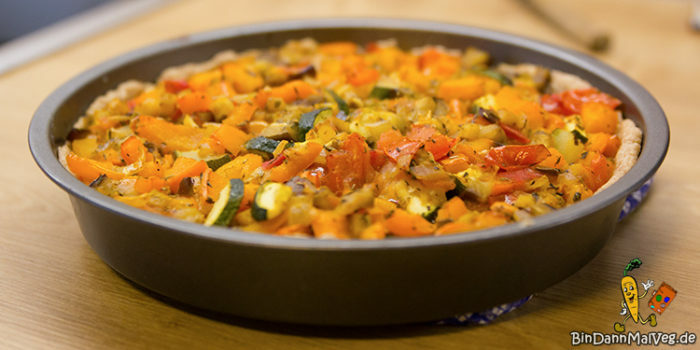 To make a bit more interesting, but still not too complicated or too time consuming, I decided to make a ratatouille-tarte. Ratatouille comes from Nice, a city in Southern France. That’s why the ordinary ratatouille we know today was formerly called ratatouille niçoise.